Winter. It’s cold. It’s long. But it CAN be fun, right? Well, that depends primarily on the things you enjoy doing the most. Snowmachiners, skiiers, snowboarders, and overzealous snowblowers might be more than happy for winter to last all year. But you? No, I don’t think so. I think you’ve had just about enough of the freezing temps and are dying to get that precious RV of yours out of storage and out on the open road as soon as possible! Honestly though, I’ve been wrong before. So let’s turn to an objective source to find out the truth about your situation: this awesome list I created out of thin air. Let’s walk through my list of the 7 most likely signs that you are indeed aching for RV season to start and see how you stack up against it. There is no doubt that a campfire is always one of the highlights of the RVing experience. You just can’t beat that experience of sitting around the flames (preferably with marshmallows hovering around the edges) and sharing moments with family and friends in the great outdoors. This is the stuff that great memories are made of! So if you have found yourself stockpiling twigs, branches and bark recently, it’s quite possible that your subconscious is simply demanding that you create the perfect campfire experience this time around during your next RV getaway. And for pete’s sake make sure you keep that stuff dry! Nothing worse than fighting with wet wood, right? Ah, RV stuff. It’s just fantastic, isn’t it? 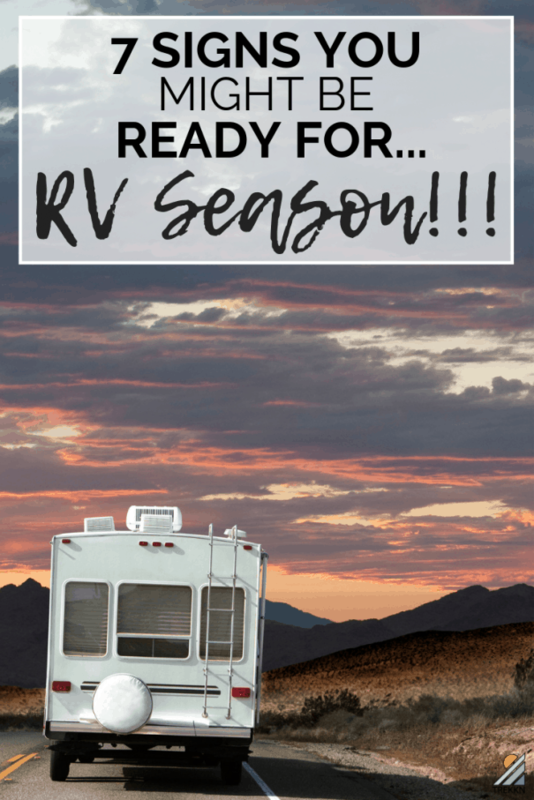 If it makes your heart go pitter-patter, then you’ve got it real bad and you are definitely ready for RV season. RV accessories really are great, and there are so many options out there. But none of us like to spend our money on unnecessary stuff either. So I’m just warning you to be careful about what you choose to buy. Look, I’m a dude. If there are four walls and a relatively intact roof, I call it home. My wife, not so much. 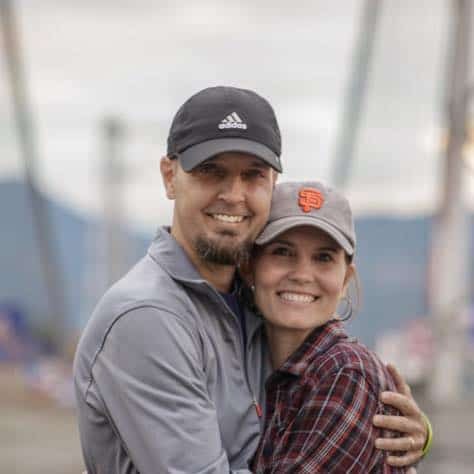 During our time on the road, she was always searching for the perfect additions to our “home on wheels” that would make it more cozy. More like home. I’m not judging your style here, friend. You are free to wear whatever the heck you want…within reason. But if your coworkers are calling attention to your obsession with RV fashion at this point in the year (after five consecutive days of you wearing an RV-related article of clothing), this is a clear sign that you’ve got RV season fever bad. Again, no judging, but don’t make us RVers look too strange. Mix it up just a little bit if at all possible. There’s really nothing worse in the RV world than getting all pumped and excited about your next RV excursion, only to realize that you waited far too long to make reservations at your favorite spots. I know you have experienced that pain, and you’ve (mostly) learned your lesson. Which is why your phone is now incessantly dinging at you multiple times per day, sending you deeper and deeper into a fevered desire to get away and hit the road. I know those reminders are probably making this period tough on you, but it’s worth it. Stay strong, stay focused. There are RV headlights at the end of this dark tunnel. Lastly, be sure to take a peek at our post about campground memberships you will actually use. You might find a valuable nugget or two in there. Sleepwalking is a fascinating thing. We’ve experienced it quite a bit with our youngest kiddo, primarily when he is going through stressful periods of adjustment (such as our return to stationary life last year). But RV sleepwalking takes it to a whole new level. If you have actually found yourself waking up stretched out on your not-extremely-comfortable RV bed, huge grin on your face but with no knowledge of how you got there, then yeah, you are way past ready for RV season. Sure, sleepwalking is one thing. We’ve all experienced it, either as the walker or the slightly-freaked-out observer. But sleep shopping is a relatively new phenomenon sweeping the western world. We haven’t personally experienced it yet in our house, but I think it’s only a matter of time until it touches all of our lives in some way. But here’s the bottom line: If a household member has questioned you at length about mysterious RV purchases on Amazon, and you have a sneaking suspicion that they happened during a midnight RV accessory shopping spree that you have no memory of, you are simply beyond help. Basically, if this describes your current situation, “RV season fever” has you completely in its grip and there is no escape. I am sorry to have to deliver the bad news. I want to encourage you to hang in there, because RV season will be here before you know it! I know it can feel like an eternity, but you can do this. In the meantime, you can always live vicariously through RVers on YouTube who are exploring all over the continent (and world). We have definitely taken that approach in the past, and probably will be again in the near future as the itch grows. RV Adventure is calling! Just a few…more…weeks.